Firewall is a secret organization sourcebook for both players and game masters. Details on Firewall's history, organization, and ongoing operations. 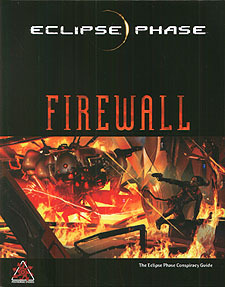 Firewall's notable people, locations, and internal factions. New traits, gear, and 16 sample characters.